You know it's time to make some changes to your physical & financial health. This requires investing time, energy and money, but first, you need to know the numbers associated with your goals. How can you measure improvement without numbers? Don't know where to start with figuring out the numbers? Don't worry! I'm here to help you, and I've brought along a few experts to help you, too. 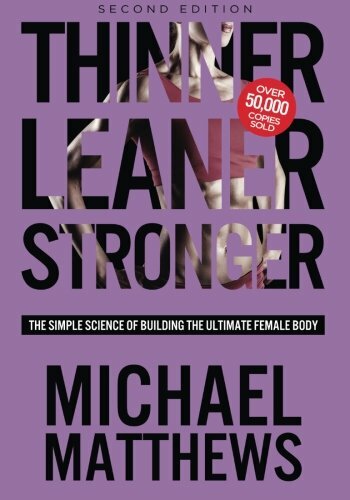 My curiosity about the science behind building muscle and losing fat led me to many discoveries; most importantly that the principles for improving physical health apply to improving financial health. I'm going to share these principles with you in this article. Assuming you want to have more energy and see more muscle definition on your body, where will you start? I started by figuring out and writing down MY FITNESS GOALS (specifically why I wanted to improve my body) and the numbers associated with my goals. Exercise each muscle group once every 4-5 days. ...and a proper warm up and a post-workout stretch to prevent injury and super sore muscles. My cardio is usually playing basketball or touch rugby, and Thinner Leaner Stronger taught me the science behind the effectiveness of playing sports and other HIIT (high intensity interval training) cardio compared to steady-state cardio. Whether you're out to improve your money health, physical health, or both, you must know your current numbers before GO TIME. 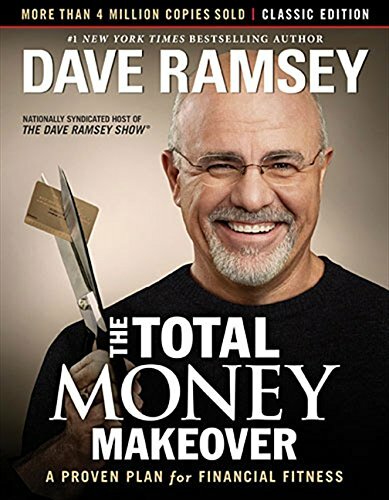 Not far along on my journey to achieving a better body, I took the first step towards achieving my financial goals with another great book: The Total Money Makeover. This book takes only 3 hours and 41 minutes to listen to on Audible. It brought me back to reality through simple, no-BS explanations of money dos & don’ts. I was seeing results in the mirror from the knowledge I’d gained from Thinner Leaner Stronger so I applied my new ability to “know my numbers” to my money. I discovered a glorious money management app called Mint (insert audio of angels singing) and I was set on my path to managing my money instead of having my money manage me. GO TIME means doing what it takes and not quitting. It may feel inconvenient or time consuming to set up Mint or follow a specific recipe so you know you're sticking to your strategy, but that's what it takes. "It's like putting change in a jar - it adds up!" As I mastered the simple art of keeping track of my numbers (dollars in, dollars out, macronutrient & caloric intake and caloric output) I saw my body transform, so I repeated the process with my money. Keeping track of the numbers seems overwhelming at first but I promise you, as long as you set up all of your accounts – assets, debts, bank accounts, investment accounts, credit cards – in your very own Mint account, it's simple. The good news is you don’t have to keep track of the numbers forever. You do need to keep track of your numbers until you’ve created the habit of hitting your targets 80% of the time. It will take time to reach 80%, but if you're keeping track of your numbers in a food journal and in your Mint app, you'll know when you're in the zone. You will have to fight some battles, and I've written another article to help you with that. Check it out here. In the meantime, trust yourself, and tell yourself the right stories. Thoughts are just that: THOUGHTS. To live like few people live, I must do the things few people do. I'm here to help keep you accountable to achieving your goals. Stay in touch by joining my tribe of Money Success Moms and by soaking up my positive self-talk on Instagram.